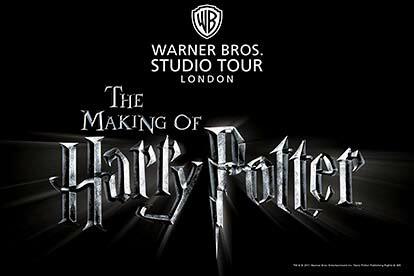 Discover a magical world of wizardry with this Warner Bros Studio Tour London ‘The Making of Harry Potter’ experience for two, with afternoon tea at Hunton Park. 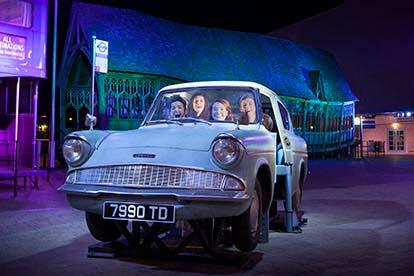 Warner Bros Studio Tour London ‘The Making of Harry Potter’ has quickly become one of the UK’s most popular attractions. Located at Leavesden Studios, in North London, this spectacular walking tour is a must-see for fans of the spell-binding films. This tour is designed to take you on a magical journey, letting you in on some closely guarded secrets which help make Harry Potter the most successful film series of all time. 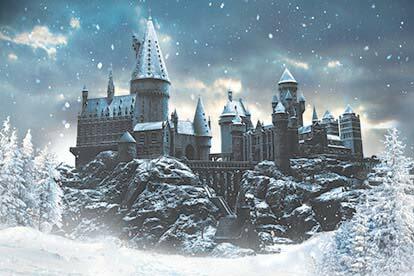 You’ll be transported to a world of magical spells, dark villains and daring heroes as you arrive at Hogwarts. Discover how the Great Hall’s magical ceiling was created, admire the well-worn furniture inside the Gryffindor Common Room and peek inside the filing cabinet inside headmaster Dumbledore’s private office. Step out onto the famous cobbles of Diagon Alley and peer through the window of Ollivanders wand shop, visit Flourish and Blotts where Harry buys his school books and take in the Weasley twin’s practical joke shop, Weasleys’ Wizard Wheezes. Experience where wizards do their banking at Gringotts Wizarding Bank, plus Eelops Owl Emporium where wizards buy their owls. 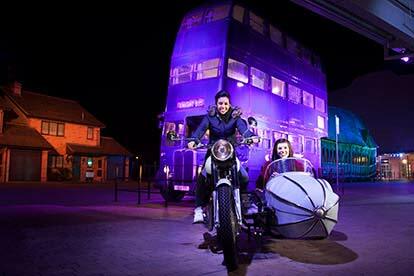 Marvel at the iconic props from the films, including Harry’s Nimbus 2000 and Hagrid’s motorcycle. 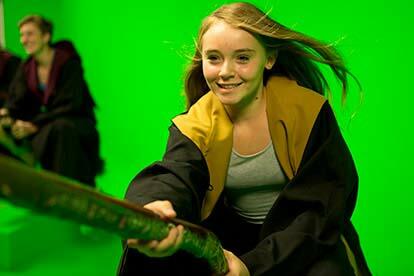 Learn how creatures are brought to life with green screen effects, animatronics and life-sized models. Rediscover other memorable sets from the film series, including the Boys’ dormitory, Hagrid’s hut, the Potions Classroom and Professor Umbridge’s office at the Ministry of Magic. 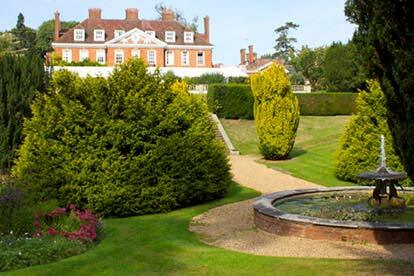 As well as exploring the wizardry world of Harry Potter, you can head to Mercure Hunton Park Hotel for afternoon tea. Just a short drive away from the Warner Bros. 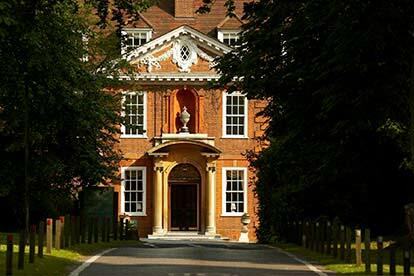 Studio London, this charming Queen Anne House, set in 22 acres of landscaped gardens, is the perfect location for afternoon tea in pleasant surroundings before or after the Warner Bros Studio Tour London ‘Making of Harry Potter’. 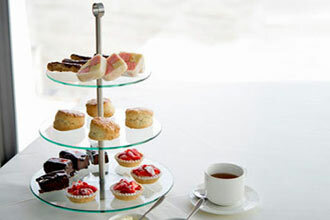 Enjoy a selection of fine sandwiches, scones served with jam and clotted cream, a choice of delicious cakes and all served with a refreshing pot of tea or coffee. Please allow at least 2-3 hours for the tour element of the experience. I was given this as a gift for Christmas 2017 and left it a little late to go. But was very pleased I did. The Tour was amazing, although not a massive fan of the films I thoroughly enjoyed the tour, all areas presented an intriguing and educational look behind the scenes and I was surprised at the level of detail offered by those staffing the various areas. I would definitely recommend this to anyone young or old. The best bit is I had been like looking on the Warner brothers web site and only finding rubbish dates and times. When you book with activity superstore you use a special hospitality booking site and we had an unbelievable choice of times and days! Excellent experience! Was a birthday gift and I absolutely loved it. Would defiantly go again! The Harry Potter Studio Tour was great, we thorougly enjoyed ourselves. The tour was informative and enjoyable with lots of opportunities to but Harry Potter branded items. Unfortunately the afternoon tea was a complete letdown. We were the only people in the restaurant at the Mercure Hotel, on one of the coldedst days of the year I was seated under a vent blowing cold air so I had to keep my coat on. The coffee was cold and I had to ask to have milk. We were given one round ouf sandwiches each which equates to two slices of bread with filling. We were only given two scones and the cake selection was poor, tiny pieces of cake. Despite this all the food was freshly produced and tasty, however, seriously over priced. As a childhood Harry Potter fan the idea of this experience was really exciting a unique chance to see behind the scenes, good fun for all ages and a great day out! 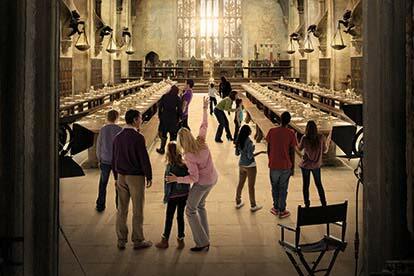 We attended Harry Potter Studios and had our afternoon tea at a nearby hotel. We treated ourselves to some Butterbeer and found out behind the scenes information on how the films where created. 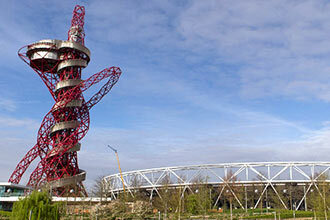 The staff at both venues were very friendly and the overall experience was great. We got to see the Forbidden Forest and Diagon Alley, a must for any fan. The afternoon tea was nice too. The gift shop is well worth a visit and had every piece of Harry Potter merchandise you could possibly imagine in it. I bought my very own wand!